Coming just in time for the holidays! Triplicity: The Terror Project, Volume 1, will be released on Black Friday, just in time for your holiday shopping! To whet your appetite, here’s the debut of the book trailer. Click here to view the book trailer for Triplicity. 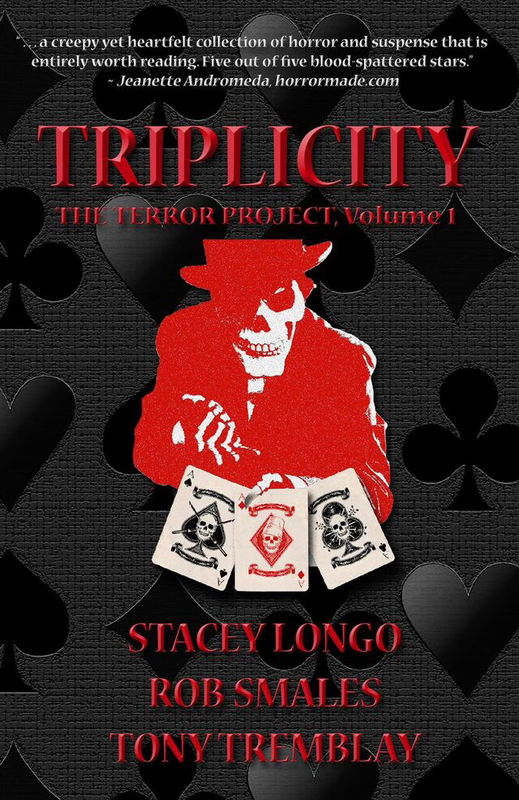 Be sure to pick up a copy of Triplicity: The Terror Project, Volume 1 by Stacey Longo, Rob Smales, and Tony Tremblay on Black Friday (Nov. 25), and check out the Books & Boos Press Holiday Sale that week, too!